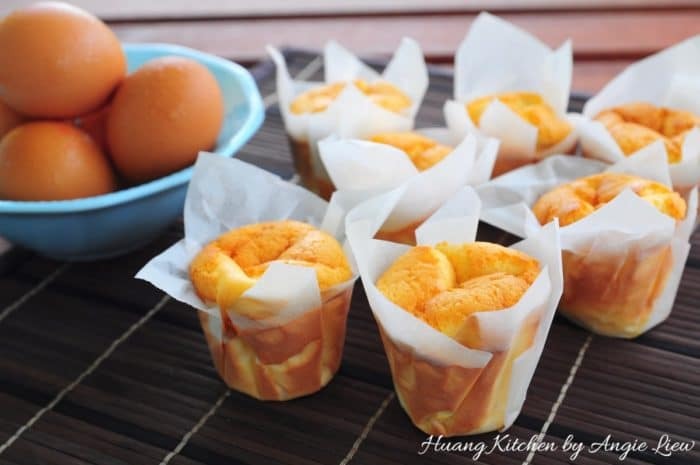 This petite looking cup-shaped paper wrapped Chinese sponge cake is simply irresistible. 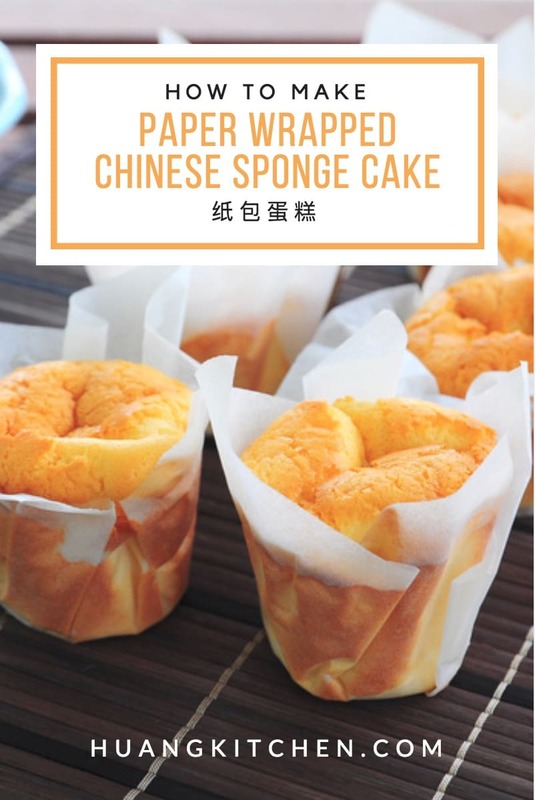 Also known as 纸包蛋糕 or Paper Wrapped Cake, this cake is a classic sponge cake, most popular in Hong Kong. 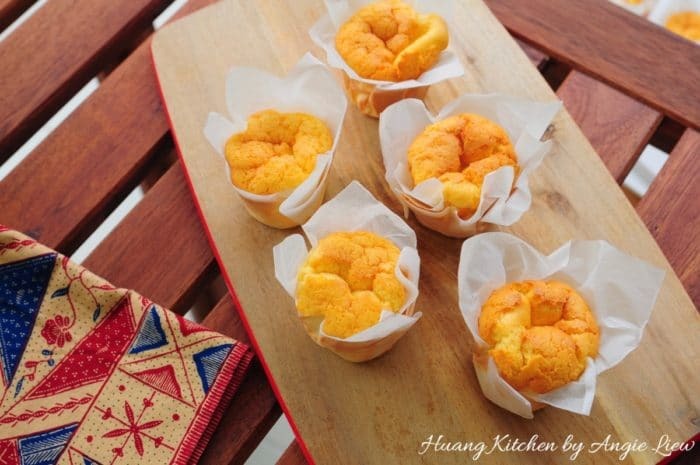 These cakes have a traditional look, just like the ones sold in the Asian-style bakery shops. 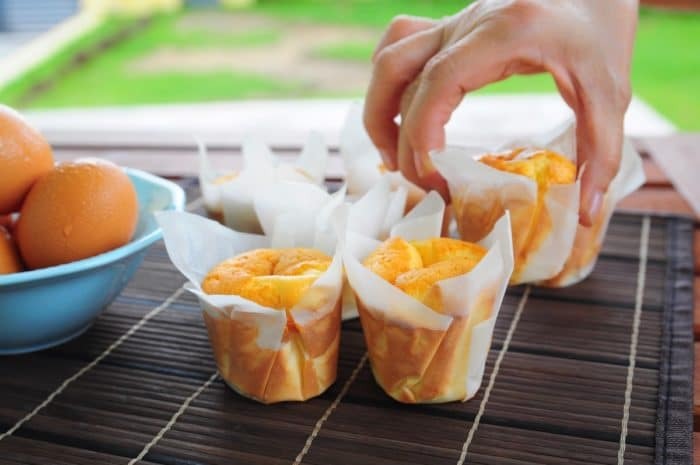 These paper wrapped cakes have a traditional taste as well and the unmistakably eggy aroma of fresh eggs. It’s not greasy and not too dense. 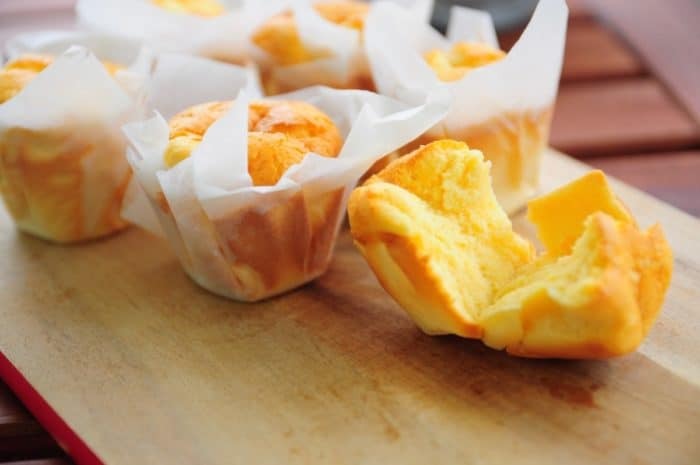 It is light, soft, pillowy and tastes absolutely delicious. 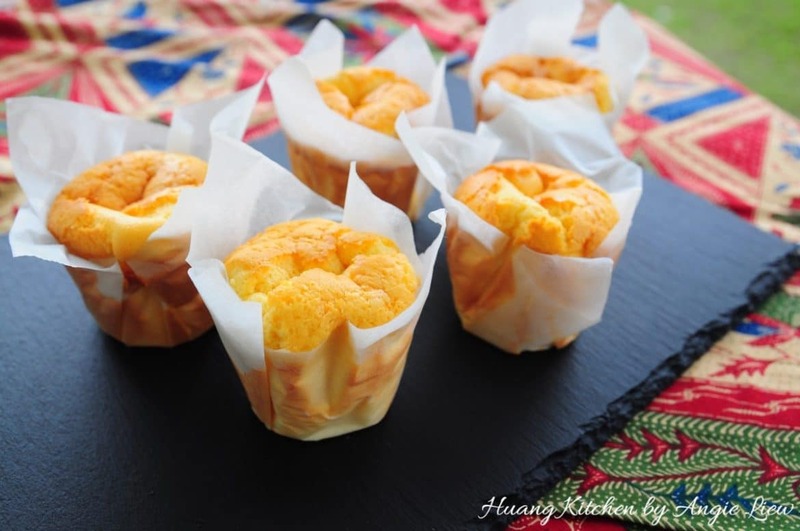 Just perfect for tea-time or a whole day snack. 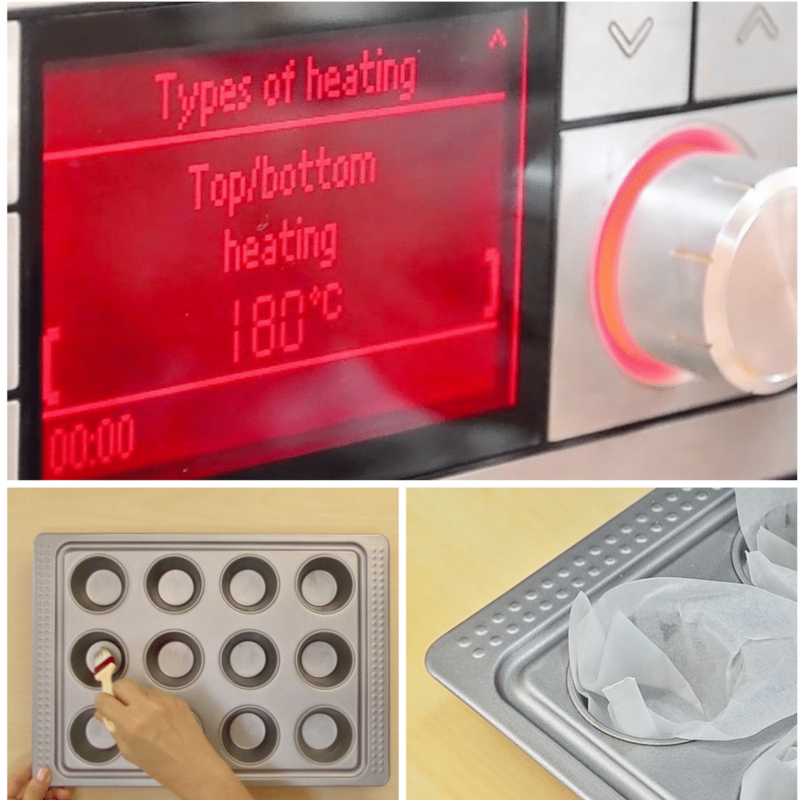 Above all, these cakes are extremely easy to make. 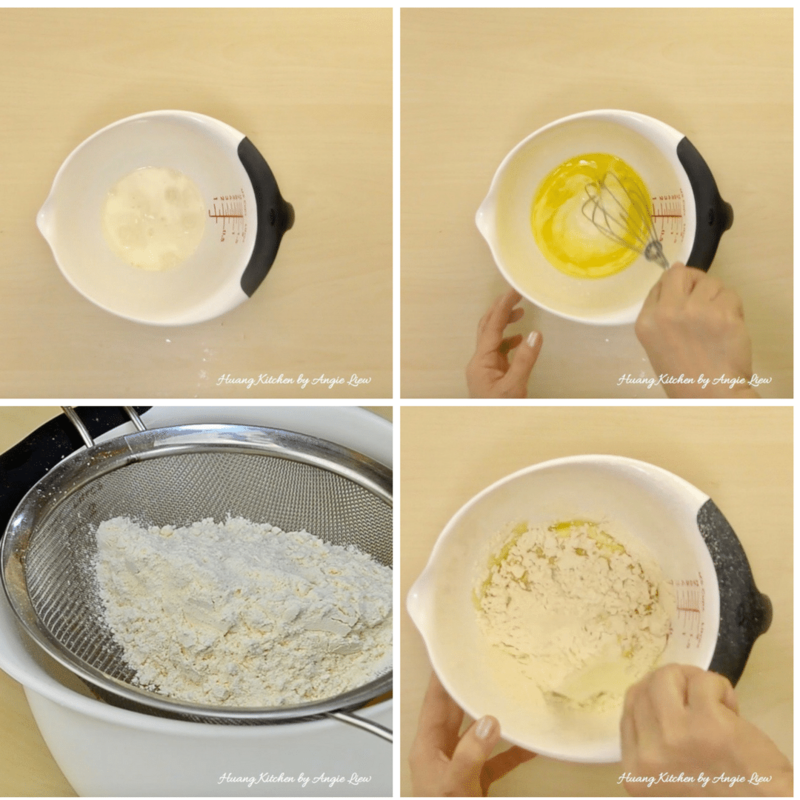 Unlike most other cake recipes, this traditional sponge cake does not have any leavening such as baking powder. 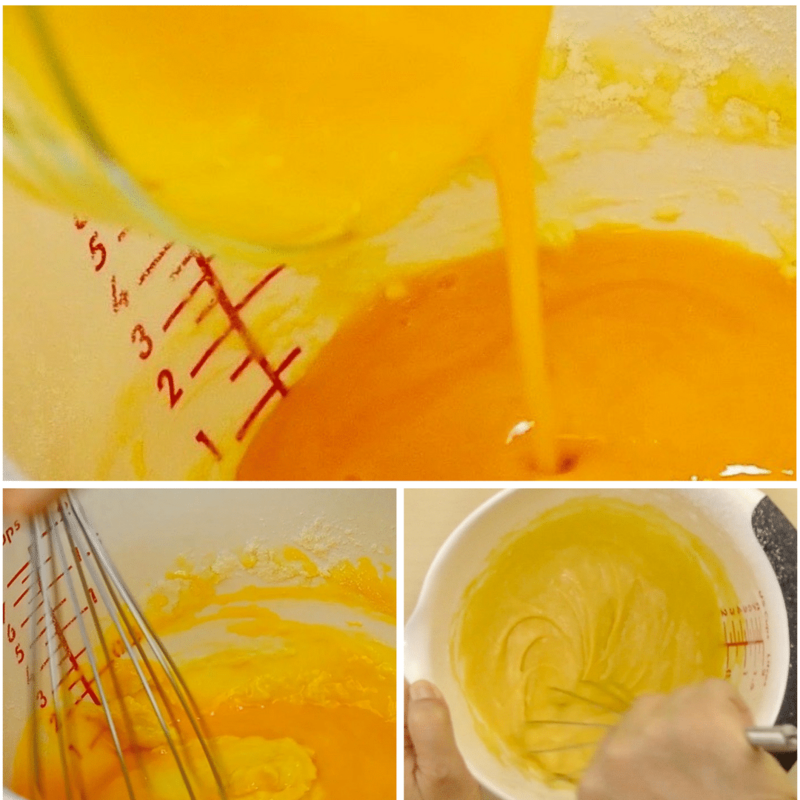 Hence it is suited for those who do not like leavening agent in their baking. 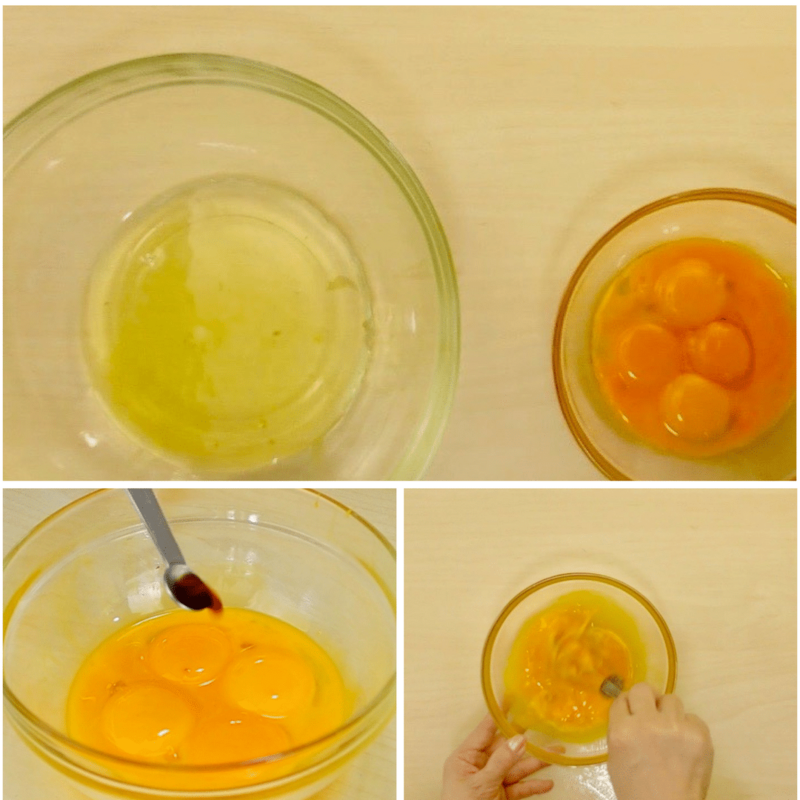 Just make sure the eggs are well beaten and they will act as leavening for the cake batter to rise when baked in the oven. 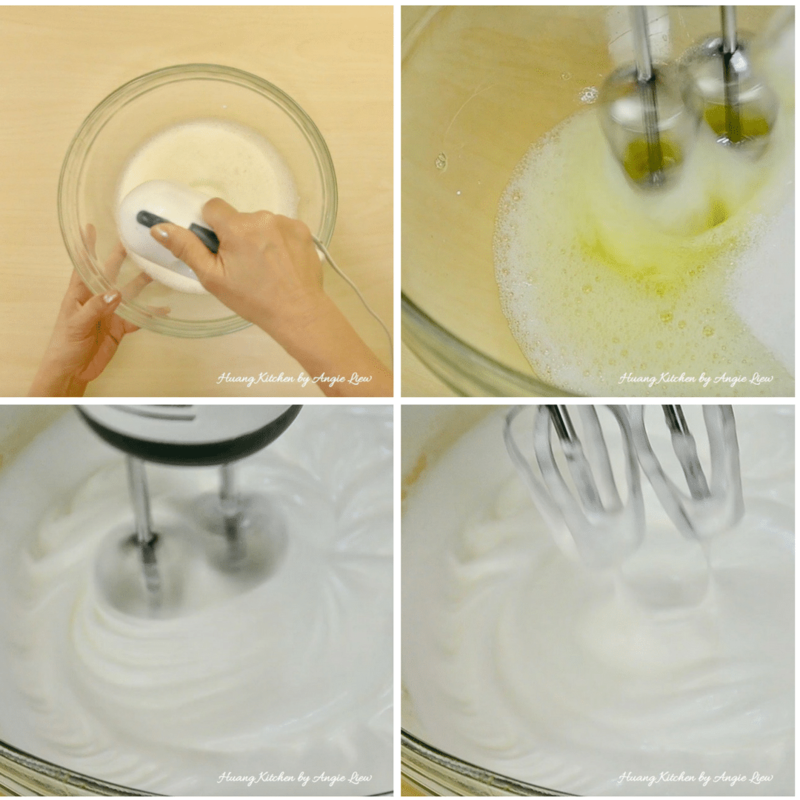 Also be sure not to mix too much when folding the whipped egg whites into the egg batter, as this will deflate bubbles from the eggs. 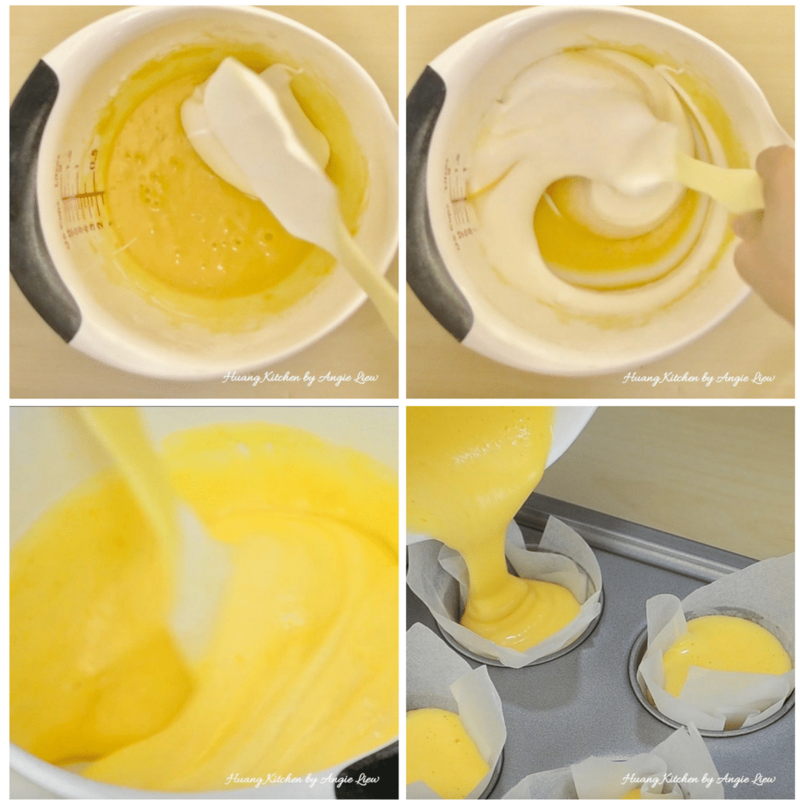 Gently transfer the cake batter into paper-lined muffin cups, fill till almost full and bake till the top turns golden brown. 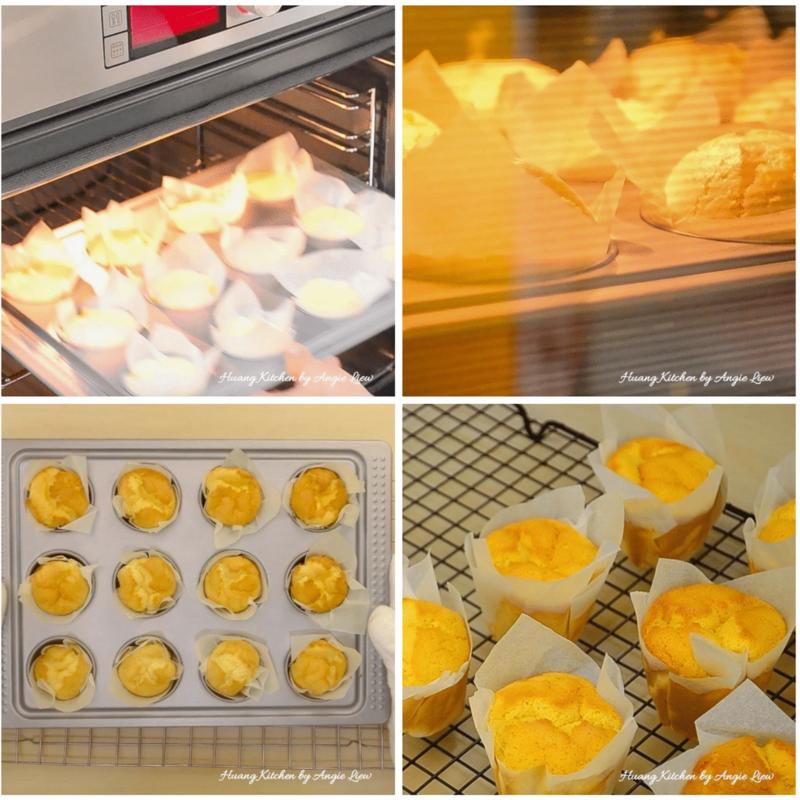 You will surely be pleasantly surprised when these cute cup-shaped soft and fluffy cakes are removed from the oven. 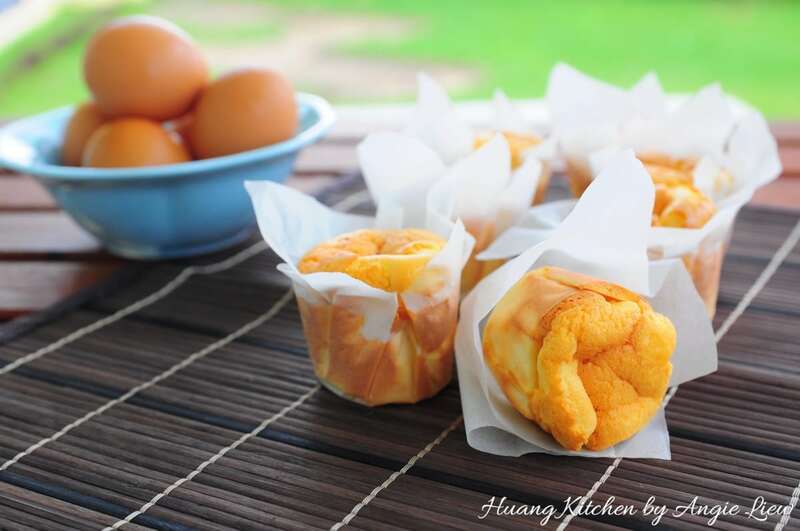 Looking at these super soft and moist paper-wrapped chinese sponge cakes certainly brings back a lot of old taste and childhood memories.